Please read carefully the following terms and conditions of use before using P.aR Publishing & Advertising (hereinafter referred to as «P.aR») websites (hereinafter referred to as «sites»). By using these sites, you declare your acceptance of these terms and conditions. If you do not agree to any of the following terms and conditions, you should not use them. The information contained in these sites, including but not limited to photographs, drawings, diagrams, signals, images and texts, including any software program available to them or through them, in whole or in part, is protected and / or protected by Greek Trademarks and Intellectual Property Laws and International Conventions and all relevant rights have been reserved. Www.par.com.gr | www.infotouch.gr | www.mykonosinformation.com | www.moregreece.com have been registered as domain names for use and exploitation of P.aR. Much of the content of the sites (such as data on advertorials, images, business presentations, etc.) is owned by third-party vendors and distributors. Names registered as trademarks are used informally without any intention of violating their rights. Users may not reproduce, reprint, distribute, publish, sell, transfer, modify in any way or create derivative works or use any content or data made available to or through these sites in any manner whatsoever without the express prior written the consent of P.aR and / or third suppliers and distributors. Any information obtained through the sites may be presented and printed or disclosed for your personal, non-commercial use only and may not be sent to newsgroups, mail lists or electronic bulletin boards or anywhere without the express prior written consent of P.aR. The information contained in the P.aR sites comes from commercial sources and is believed to be reliable. However, P.aR and its third party suppliers and distributors provide no warranties regarding the material provided to the sites, which is provided entirely free of charge and «as is». All posts and entries can be changed or canceled without prior notice. Consequently, consumers are responsible for verifying the merits of each individual case based on their particular needs. P.aR does not represent or warrant the accuracy, completeness, propriety or suitability for specific purposes of the information and services provided through its sites and to the fullest extent permitted by the applicable laws disclaims warranties and representations, including implied or implied the law of guaranteeing the quality, marketability or good performance of information or services based on law or commercial practice or commercial practices. P.aR reserves the right to remove any part of the content of its sites uploaded by users at any time without notice, at its absolute discretion and for any reason or for no reason whatsoever. P.aR disclaims all liability in respect of content placed on its sites by users, which is contrary to good morals or is of an offensive or defamatory nature. In no event will P.aR be liable for any loss or damage that may be caused by the trust the user has shown in information obtained through its sites or any linked site or any omission or delay in updating the data on its websites. P.aR and its executives, directors, employees, and agents assume no responsibility and are not responsible for damages or viruses that infect computer components or other property of users due to the access, use or access of its sites or any or downloadable from the user of the material, data, text, images, visual or audio data from his sites or other by reference website. P.aR cannot guarantee and does not guarantee continuous, unobstructed or secure access to its sites. The act or omission of P.aR’s obligation, even if P.aR was aware of the likelihood of such damages occurring. P.aR is the sole representative of the persons providing services through its sites, including, but not limited to, travel services. Any claim for breach or delay in the services offered through its sites is limited to claims against the persons themselves providing such services. P.aR and its officers, directors, employees, and agents hereby disclaim any liability based on any contract, tort, legal liability or any other, including without limitation the liability for direct, indirect, incidental, consequential, indirect damages in connection with the services offered by its client or suppliers through its sites, including without limitation the liability for any act, error, omission, damage, loss, delay or irregularity due to a fraudulent or negligence of the customer or a supplier. At P.aR we respect the personal data of each visitor to our sites. The following text simply, but clearly, states how we process the personal data we collect from you or which you provide to us. P.aR collects and maintains solely the personal data you provide to us by entering the requested personal information in your respective fields and / or replies in the context of specific actions carried out by P.aR. You can participate voluntarily, and they are the minimum necessary for its proper operation. As part of the obligation to preserve and protect the information of its members and subscribers, P.aR undertakes to protect and make appropriate use of personal information (‘personal data’) collected by its sites. P.aR only collects personal information voluntarily provided by you so that we serve you in the best way. Where additional, optional information is sought, you will be notified at the time of collection. Personal data can only be downloaded if you voluntarily choose to provide it – for example, if you sign up for our sites or our newsletter. Sending our newsletter, in particular, requires that you be able to communicate with you. Therefore, it is essential that you register with the true personal data you are required to. By signing up for the services provided by our sites, you also consent to the storage and use of your personal data in accordance with this Statement. We may process your personal data in order to provide personalized services under the law (Article 6 (1b) of Regulation (EU) 2016/679). Your personal data is not used for purposes other than those described in the Declaration unless we obtain your prior permission or unless this is required or permitted by law. The purpose of collecting, using and processing your personal data is (a) to provide the services you request through our sites for the purpose of which their use and/or processing is required (eg sending a newsletter to your email), (b) your best information and convenience in your searches by registering your personal preferences on your profile. The personal data that you provide to P.aR. through its sites, either upon registration or at a later stage, are collected and used for use and processing in accordance with the applicable personal data protection provisions, and in particular, according to the provisions of the new European General Data Protection Regulation (EU) 2016/679 as well as the rest of the legislation on the protection of personal data. Right to know about your personal data: Upon your request, we will provide you with information about the personal data we hold for you. Right to Correct Your Personal Data: If you notify us of this, we will correct any inaccurate personal data that you are concerned with. We will fill in incomplete data provided you notify us, provided that such data is necessary for the purposes of processing your data. Right to delete your personal data: Upon your request, we will delete the personal data we hold for you. However, some data will only be deleted after a specified hold period, for example because in some cases we are legally required to maintain the data, or because the data is required to fulfill our contractual obligations towards you. Right to withdraw your consent: You may at any time revoke your consent to the processing of your personal data in the future. The lawfulness of your data processing remains unaffected by this action, to the point where your consent is withdrawn. Right to object to the processing of your data: You may at any time object to the processing of your personal data in the future. If you submit objections, we will stop processing your data, provided that there are no legitimate reasons for further processing. Processing your data for advertising purposes is not a legitimate reason. P.aR does not share or transmit personal data to third parties unless this is required for legitimate business purposes and business needs in order to meet your requests and/or as required or permitted by law. In any case, access to your personal data is only permitted to authorized persons who are required to access in order to be able to accomplish the purposes of their collection, use and processing as disclosed in this Statement. In some cases, P.aR may share your personal data with various companies or service providers who work with it in order to respond to your requests or to natural or legal persons entrusted with the processing, provided that that we will notify you in advance and we will obtain your prior consent. People who have access to the data are required to keep the data confidential. P.aR reserves the right to use the information you disclose to it through its sites in such a way that it is not possible to identify or disclose the person concerned for statistical, promotional, investigative or advertising purposes, by notifying them and third parties, e.g. research firms responsible for the achievement of the above objectives. P.aR may transfer certain personal data outside of a geographical boundary to other companies that partner with it and/or store personal data in a jurisdiction other than that in which you are located. By providing their personal data via the internet, visitors consent to this transfer and/or the storage of their personal data abroad. P.aR may store your personal data in a cloud. This means that your personal data can be processed by a cloud service provider on behalf of P.aR and your personal data may be stored in different locations around the world. P.aR uses organizational and conventional measures to protect personal data and to impose similar, yet less restrictive, requirements to our cloud service providers, including requirements regarding the exclusive processing of your personal data for them in this Statement of stated purposes. P.aR applies specific technical and organizational security procedures to protect personal data and information from loss, misuse, alteration or destruction. Partners who support us in the operation of our sites also comply with these provisions. P.aR makes every reasonable effort to keep personal data collected only for the period of time for which the data is needed for the purpose for which it was collected or until such time as it is requested to delete it (if this occurs earlier) unless continue to keep them as provided in the applicable legislation. Cookies are small data files composed of texts and numbers stored in the browser you are using (Chrome, Mozilla Firefox, Internet / Edge Explorer) that contain information that allows the website to memorize important information that will make use of the site more effective and useful to you. Cookies allow us to recognize your device and enable specific information to make your navigation easier and more efficient. Cookies help keep your personal settings and help us shape our websites accordingly. You can choose to disable cookies through your browser settings as well as delete all newly saved cookies in your browser. You can find more instructions by clicking Help in the browser menu. However, you should know that disabling cookies from your browser may not allow you to take full advantage of our sites and some of the features may not work as they should as they rely on cookies. Third-party cookies are created in your browser from a different site than the site you’re browsing (in this case different from our sites). Such Cookies may be click-based cookies to go to our affiliate pages to utilize their advertised bids. We may process data in this technology framework under the law (Article 6 (1f) of Regulation (EU) 2016/679). We store this data until the cookie expires or you delete it. If you have questions, comments, or complaints about managing or protecting us from your personal data or if you wish to modify your personal data or exercise any of your rights as a data subject, please contact us at info@par.com.gr from the same email account you have registered and mentioning us and the site. Access to and use of the sites of P.aR sites protected by code or otherwise is restricted to authorized users only. Unauthorized individuals attempting to access these sites may be legally prosecuted. Sites may contain links to other websites, which are provided solely for the convenience of the user and are not necessarily endorsed by P.aR or its third suppliers or customers of the content of those other websites. P.aR and its suppliers or customers are not responsible for the content of any other web sites and provide no warranty with respect to any other web sites or content or material in them. Access to other websites is at the risk of users. P.aR reserves the right to pursue all of its legitimate requirements for violating these Rules and Regulations, including the right to block access from specific e-mail addresses to its sites. The user undertakes to indemnify and remedy any damage to P.aR, third parties providing services through its sites and its distributors, officers, directors, employees and agents for any damage, legitimate cause or claim, including without limitation reasonable attorneys’ and accounting fees, caused by users or for their benefit in addition to the liability described herein or by third parties due to the use of these sites by users. P.aR reserves the right to amend at any time these Rules and Regulations and users are deemed to have been informed and bound by any changes to these Rules and Regulations. Users of P.aR sites agree that they are subject to Greek Laws and hereby waive the right to invoke the provisions of private international law of their country of residence or residence. Users agree and submit to the exclusive jurisdiction of the Courts of Athens for all matters and disagreements that may be related or will arise from the use of those sites by P.aR. P.aR holds mobile applications for which the following privacy terms apply. The privacy of our users is important and therefore we do not ask for specific information from any of our users when they communicate with our online applications. All information that is transferred to and from our online server is completely anonymous or uses a random code that uniquely identifies each user. This random code is generated once from the initial activation of the application and does not register or contain any personal information for the user. In some cases, our app communicates directly with our online servers to retrieve upgraded data to show through the app (like the latest news). When this happens, no personal data is transferred for the user or the user’s use on our servers. The functionality for displaying ads is installed in our apps. If the app displays an ad, basic information about the site and user language is transferred to the banner management system so that relevant advertisements appear. In some cases, the application may request the user’s consent to draw geographic coordinates to display better content. In these cases, the user’s consent is always requested. At this stage, our application is free of ads, but we are likely to introduce this feature to a later stage where it will provide the user with the relevant update and the ability to disable it. By installing P.aR’s application(s), you agree to receive notifications from the application for promotional purposes where no personal information is also obtained. Παρακαλούμε διαβάστε προσεκτικά τους ακόλουθους όρους και προϋποθέσεις χρήσης πριν χρησιμοποιήσετε τους διαδικτυακούς τόπους (εφεξής «sites») της εταιρίας P.aR Publishing & Advertising (εφεξής «P.aR»). Χρησιμοποιώντας αυτά τα sites, εκδηλώνετε την αποδοχή σας των όρων και προϋποθέσεων αυτών. Αν δεν συμφωνείτε με οποιοδήποτε μέρος των ακόλουθων όρων και προϋποθέσεων, δεν πρέπει να τα χρησιμοποιήσετε. Οι πληροφορίες που περιέχονται στα sites αυτά, συμπεριλαμβανομένων μεταξύ άλλων των φωτογραφιών, σχεδίων, διαγραμμάτων, σημάτων, εικόνων και κειμένων, συμπεριλαμβανομένου οποιουδήποτε λογισμικού προγράμματος που διατίθενται σε αυτά ή μέσω αυτών, εν όλω ή εν μέρει, προστατεύεται ή/και είναι κατοχυρωμένο από τους Ελληνικούς Νόμους περί Σημάτων και Πνευματικής Ιδιοκτησίας και τις Διεθνείς Συμβάσεις και όλα τα σχετικά δικαιώματα έχουν επιφυλαχθεί. 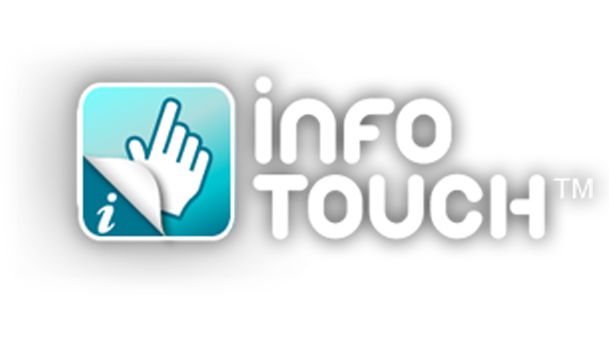 Τα www.par.com.gr | www.infotouch.gr | www.mykonosinformation.com | www.moregreece.com έχουν κατοχυρωθεί ως domain names προς χρήση και εκμετάλευση της P.aR. Μεγάλο μέρος του περιεχομένου των sites (όπως τα δεδομένα που αφορούν advertorials, εικόνες, παρουσιάσεις επιχειρήσεων κ.α) είναι ιδιοκτησία τρίτων προμηθευτών και διανομέων. Τα κατοχυρωμένα ως σήματα ονόματα χρησιμοποιούνται πληροφοριακά χωρίς καμία πρόθεση παραβίασης των επ’ αυτών δικαιωμάτων. Απαγορεύεται στους χρήστες η αναπαραγωγή, ανατύπωση, διανομή, δημοσίευση, πώληση, μεταβίβαση, τροποποίηση κατά οποιονδήποτε τρόπο ή η δημιουργία παράγωγων έργων ή η χρήση οποιουδήποτε περιεχομένου ή δεδομένου που διατίθεται σε αυτά ή μέσω αυτών των sites με οποιονδήποτε τρόπο, χωρίς τη ρητή προηγούμενη έγγραφη συναίνεση της P.aR ή/και των τρίτων προμηθευτών και διανομέων. Οποιαδήποτε πληροφορία που λαμβάνεται μέσω των sites μπορεί να παρουσιάζεται και να τυπώνεται ή να κοινοποιείται για την προσωπική σας, μη-εμπορική χρήση μόνο και δεν μπορεί να σταλεί σε newsgroups, mail lists ή ηλεκτρονικά bulletin boards ή οπουδήποτε χωρίς τη ρητή προηγούμενη έγγραφη συναίνεση της P.aR. Οι πληροφορίες που περιέχονται στα sites της P.aR προέρχονται από εμπορικές πηγές και θεωρούνται ότι είναι αξιόπιστες. Παρόλα αυτά η P.aR και οι τρίτοι προμηθευτές και διανομείς της δεν παρέχουν καμία εγγύηση σχετικά με το υλικό που παρέχεται στα sites, το οποίο παρέχεται εξ’ ολοκλήρου χωρίς χρέωση και «ως έχει». Όλες οι δημοσιεύσεις και καταχωρήσεις μπορούν να αλλάξουν ή και να ακυρωθούν, χωρίς προηγούμενη ειδοποίηση. Συνεπώς, οι καταναλωτές είναι υπεύθυνοι να επαληθεύσουν τη βασιμότητα σε κάθε ατομική περίπτωση με βάση τις ιδιαίτερες ανάγκες τους. Η P.aR δεν δηλώνει ούτε εγγυάται την ακρίβεια, πληρότητα, βασιμότητα ή καταλληλότητα για ειδικούς σκοπούς των πληροφοριών και υπηρεσιών που παρέχονται μέσω των sites της και στο μεγαλύτερο βαθμό που επιτρέπεται από τους εφαρμοστέους νόμους αποποιείται των εγγυήσεων και δηλώσεων, συμπεριλαμβανομένων των σιωπηρών ή εκ του νόμου εγγυήσεων ποιότητας, εμπορευσιμότητας ή καλής εκτέλεσης των πληροφοριών ή υπηρεσιών, που βασίζονται στο νόμο ή στην εμπορική πρακτική ή στα συναλλακτικά ήθη. Η P.aR διατηρεί το δικαίωμα να αφαιρέσει οποιοδήποτε μέρος του περιεχομένου των sites της που τοποθετήθηκε από τους χρήστες, κατά οποιονδήποτε χρόνο, χωρίς προειδοποίηση, κατά την απόλυτη διακριτική της ευχέρεια και για οποιονδήποτε λόγο ή και χωρίς λόγο. Η P.aR αποποιείται κάθε ευθύνη σχετικά με περιεχόμενο που τοποθετήθηκε στα sites της από τους χρήστες, το οποίο είναι αντίθετο στα χρηστά ήθη ή είναι προσβλητικής ή δυσφημιστικής φύσεως. Σε καμία περίπτωση η P.aR δεν θα ευθύνεται για οποιαδήποτε απώλεια ή ζημιά που τυχόν θα προκληθεί από την εμπιστοσύνη που ο χρήστης έδειξε σε πληροφορίες που αποκτήθηκαν μέσω των sites της ή οποιασδήποτε κατά παραπομπή σελίδας (linked site) ή από οποιαδήποτε παράλειψη ή καθυστέρηση στην ανανέωση των δεδομένων στις ιστοσελίδες της. Η P.aR και τα στελέχη, διευθυντές, υπάλληλοι και εκπρόσωποί της δεν αναλαμβάνουν καμία ευθύνη και δεν ευθύνονται για ζημιές που προκαλούνται ή ιούς που προσβάλλουν τα εξαρτήματα των υπολογιστών ή άλλη ιδιοκτησία των χρηστών λόγω της πρόσβασης, χρήσης ή προσπέλασης των sites της ή οποιασδήποτε κατά παραπομπής σελίδας, ή λόγω «κατεβάσματος» (downloading) από το χρήστη υλικού, δεδομένων, κειμένων, εικόνων, οπτικών ή ακουστικών δεδομένων από τα sites της ή άλλη κατά παραπομπή ιστοσελίδα. Η P.aR δε μπορεί να εγγυηθεί και δεν εγγυάται τη συνεχή, αδιατάραχτη ή ασφαλή πρόσβαση στα sites της. την ενέργεια ή παράλειψη υποχρεώσεως από την P.AR, ακόμα κι αν η P.aR ήταν εν γνώσει της πιθανότητας να προκληθούν οι ζημιές αυτές. Η P.aR είναι αντιπρόσωπος και μόνο των προσώπων που παρέχουν υπηρεσίες μέσω των sites της, συμπεριλαμβανομένων μεταξύ άλλων και ταξιδιωτικών υπηρεσιών. Κάθε απαίτηση για παράβαση ή υπερημερία σχετικά με τις υπηρεσίες που προσφέρονται μέσω των sites της περιορίζεται στις απαιτήσεις κατά των ιδίων των προσώπων που παρέχουν τις υπηρεσίες αυτές. Η P.aR και τα στελέχη, διευθυντές, υπάλληλοι και εκπρόσωποί της με το παρόν αποποιούνται οποιαδήποτε ευθύνη βασιζόμενη σε σύμβαση, αδικοπραξία, αντικειμενική εκ του νόμου ευθύνη ή άλλη συμπεριλαμβανομένης χωρίς περιορισμό της ευθύνης για άμεση, έμμεση, παρεμπίπτουσα, παρεπόμενη, έμμεση ζημιά σχετικά με τις υπηρεσίες που προσφέρονται από τον εκάστοτε πελάτη της ή τους προμηθευτές μέσω των sites της, συμπεριλαμβανομένης χωρίς περιορισμό της ευθύνης για πράξη, σφάλμα, παράλειψη, ζημιά, απώλεια, καθυστέρηση ή αντικανονικότητα που οφείλεται σε δόλο ή αμέλεια του πελάτη ή προμηθευτή αυτού. Στην P.aR σεβόμαστε τα προσωπικά δεδομένα του κάθε επισκέπτη των sites μας. Στο κείμενο που ακολουθεί εκτίθεται με απλά λόγια, αλλά και με σαφήνεια, πώς επεξεργαζόμαστε τα προσωπικά δεδομένα τα οποία συλλέγουμε από εσάς ή τα οποία εσείς μας παρέχετε. Η P.aR συλλέγει και τηρεί αποκλειστικά και μόνο τα προσωπικά δεδομένα που εσείς της γνωστοποιείτε με την εισαγωγή των αιτουμένων προσωπικών πληροφοριών στα αντίστοιχα πεδία ή/και των απαντήσεών σας στο πλαίσιο συγκεκριμένων ενεργειών που διεξάγει η P.AR. Δύνασθε να συμμετέχετε οικειοθελώς, και είναι τα ελάχιστα απαραίτητα για σωστή λειτουργία της. Στα πλαίσια της υποχρέωσης διαφύλαξης και προστασίας των πληροφοριών των μελών της και συνδρομητών της, η P.aR δεσμεύεται να προστατεύει και να χρησιμοποιεί κατά τον αρμόζοντα τρόπο τις προσωπικές πληροφορίες (εφεξής «προσωπικά δεδομένα») που συλλέγονται από τα sites της. Η P.aR συλλέγει μόνον τα προσωπικά δεδομένα που παρέχονται οικειοθελώς από εσάς, έτσι ώστε να σας εξυπηρετούμε κατά τον βέλτιστο τρόπο. Όπου αναζητούνται πρόσθετες, προαιρετικές πληροφορίες, θα ενημερωθείτε σχετικά κατά τη στιγμή της συλλογής τους. Η λήψη των προσωπικών δεδομένων πραγματοποιείται μόνο εφόσον εσείς επιλέξετε αυτοβούλως να τα παρέχετε — για παράδειγμα, εάν εγγραφείτε στα sites μας ή στο ενημερωτικό μας δελτίο. Η αποστολή του ενημερωτικού μας δελτίου, ειδικότερα, προϋποθέτει τη διασφάλιση της δυνατότητας επικοινωνίας μαζί σας. Συνεπώς, είναι απαραίτητο κατά την εγγραφή σας να δηλώσετε τα αληθή προσωπικά δεδομένα που θα σας ζητηθούν. Με την εγγραφή σας στις υπηρεσίες που παρέχονται από τα sites μας, συναινείτε επίσης στην αποθήκευση και χρήση των προσωπικών δεδομένων σας, σύμφωνα με την παρούσα Δήλωση. Επιτρέπεται να επεξεργαζόμαστε τα προσωπικά σας δεδομένα, προκειμένου να παρέχουμε προσωποποιημένες υπηρεσίες, βάσει του νόμου (άρθρο 6(1β) του Κανονισμού (ΕΕ) 2016/679). Τα προσωπικά σας δεδομένα δεν χρησιμοποιούνται για άλλους σκοπούς, πλην των όσων περιγράφονται στη Δήλωση, εκτός αν λάβουμε την προηγούμενη άδειά σας, ή εκτός αν κάτι τέτοιο απαιτείται ή επιτρέπεται από το νόμο. Σκοπός της συλλογής, χρήσης και επεξεργασίας των προσωπικών σας δεδομένων, αποτελεί (α) η παροχή των υπηρεσιών που αιτείστε μέσω των sites μας, για την λήψη των οποίων απαιτείται η χρήση ή/ και η επεξεργασία τους (π.χ. αποστολή ενημερωτικού δελτίου στο email σας), (β) η καλύτερη πληροφόρησή σας και διευκόλυνση στις αναζητήσεις σας μέσω της καταχώρησης των προσωπικών σας προτιμήσεων στο προφίλ σας. Τα προσωπικά δεδομένα που γνωστοποιείτε στην P.aR μέσω των sites της, είτε κατά την εγγραφή σας είτε και σε μεταγενέστερο στάδιο, συλλέγονται και τυγχάνουν χρήσης και επεξεργασίας σύμφωνα με τις εκάστοτε ισχύουσες διατάξεις περί προστασίας δεδομένων προσωπικού χαρακτήρα. και συγκεκριμένα, σύμφωνα με την/τις διατάξεις του νέου Ευρωπαϊκού Γενικού Κανονισμού Προστασίας Δεδομένων (ΕΕ) 2016/679 καθώς και της υπόλοιπης νομοθεσίας περί προστασίας προσωπικών δεδομένων. Δικαίωμα ενημέρωσης σχετικά με τα προσωπικά δεδομένα σας: Μετά από σχετικό αίτημά σας, θα σας παρέχουμε πληροφορίες σχετικά με τα προσωπικά δεδομένα που τηρούμε για εσάς. Δικαίωμα διόρθωσης των προσωπικών δεδομένων σας: Εφόσον μας ειδοποιήσετε σχετικά, θα διορθώσουμε τυχόν ανακριβή προσωπικά δεδομένα που σας αφορούν. Θα συμπληρώσουμε ατελή δεδομένα εφόσον μας ειδοποιήσετε σχετικά, υπό την προϋπόθεση ότι τα δεδομένα αυτά είναι αναγκαία για τους σκοπούς επεξεργασίας των δεδομένων σας. Δικαίωμα για προβολή αντιρρήσεων κατά της επεξεργασίας των δεδομένων σας: Μπορείτε ανά πάσα στιγμή να προβάλετε αντιρρήσεις κατά της επεξεργασίας των προσωπικών δεδομένων σας στο μέλλον. Εάν προβάλετε αντιρρήσεις, θα σταματήσουμε την επεξεργασία των δεδομένων σας, υπό την προϋπόθεση ότι δεν συντρέχουν νόμιμοι λόγοι για περαιτέρω επεξεργασία τους. Η επεξεργασία των δεδομένων σας για σκοπούς διαφήμισης δεν συνιστά νόμιμο λόγο. Η P.aR δεν μοιράζεται ούτε διαβιβάζει προσωπικά δεδομένα με τρίτους εκτός αν κάτι τέτοιο απαιτείται για τους νόμιμους επαγγελματικούς σκοπούς και τις επιχειρηματικές ανάγκες, προκειμένου να ανταποκριθεί στα αιτήματά σας ή/και εφόσον επιβάλλεται ή επιτρέπεται από το νόμο. Σε κάθε περίπτωση, η πρόσβαση στα προσωπικά σας δεδομένα επιτρέπεται μόνο σε εξουσιοδοτημένα πρόσωπα τα οποία απαιτείται να έχουν πρόσβαση προκειμένου να είναι δυνατή η ολοκλήρωση των σκοπών της συλλογής, χρήσης και επεξεργασίας τους, όπως αυτή γνωστοποιείται με την παρούσα Δήλωση. Σε ορισμένες περιπτώσεις, η P.aR ενδέχεται να μοιραστεί τα προσωπικά σας δεδομένα με διάφορες εταιρίες ή παρόχους υπηρεσιών που συνεργάζονται μαζί της, προκειμένου να ανταποκριθεί στα αιτήματά σας ή σε φυσικά ή νομικά πρόσωπα στα οποία έχει ανατεθεί η εκτέλεση της επεξεργασίας, υπό την προϋπόθεση ότι θα σας ενημερώσουμε εκ των προτέρων και θα λάβουμε την προηγούμενη συναίνεσή σας. Τα άτομα που θα έχουν πρόσβαση στα δεδομένα είναι υποχρεωμένα να τηρούν την εμπιστευτικότητα αυτών των δεδομένων. Η P.aR επιφυλάσσεται του δικαιώματος της να χρησιμοποιήσει τα στοιχεία που της γνωστοποιείτε μέσω των sites της κατά τρόπο που να μην είναι δυνατή η ταυτοποίηση ή η αποκάλυψη του προσώπου που αυτά αφορούν, για στατιστικούς, προωθητικούς, ερευνητικούς ή και διαφημιστικούς σκοπούς, γνωστοποιώντας αυτά και σε τρίτα πρόσωπα π.χ. εταιρείες ερευνών αρμόδια για την ολοκλήρωση των ανωτέρω σκοπών. Η P.aR ενδέχεται να μεταφέρει ορισμένα προσωπικά δεδομένα εκτός γεωγραφικών συνόρων σε άλλες εταιρίες που συνεργάζονται με αυτή ή/και να αποθηκεύει προσωπικά δεδομένα σε κάποια δικαιοδοσία διαφορετική από αυτήν όπου βρίσκεστε. Με το να παρέχουν τα προσωπικά δεδομένα τους μέσω διαδικτύου, οι επισκέπτες συναινούν στη μεταφορά αυτή ή/και στην αποθήκευση των προσωπικών τους δεδομένων στο εξωτερικό. Η P.aR ενδέχεται να αποθηκεύει τα προσωπικά σας δεδομένα σε cloud. Αυτό σημαίνει ότι η επεξεργασία των προσωπικών σας δεδομένων μπορεί να γίνεται από μια υπηρεσία παροχής υπηρεσιών cloud για λογαριασμό της P.aR και τα προσωπικά σας δεδομένα μπορεί να αποθηκεύονται σε διαφορετικές τοποθεσίες ανά τον κόσμο. Η P.aR χρησιμοποιεί οργανωτικά και συμβατικά μέτρα για την προστασία των προσωπικών δεδομένων και για την επιβολή παρόμοιων, αλλά σε καμία περίπτωση λιγότερο περιοριστικών, απαιτήσεων στους παρόχους μας υπηρεσιών cloud, συμπεριλαμβάνοντας απαιτήσεις σχετικά με την αποκλειστική επεξεργασία των προσωπικών σας δεδομένων για τους στην παρούσα Δήλωση αναφερθέντες σκοπούς. Η P.aR εφαρμόζει συγκεκριμένες διαδικασίες τεχνικής και οργανωτικής ασφαλείας, προκειμένου να προστατεύει τα προσωπικά δεδομένα και πληροφορίες από απώλεια, κακή χρήση, μεταβολή ή καταστροφή. Οι συνεργάτες που μας υποστηρίζουν στη λειτουργία των sites μας, επίσης συμμορφώνονται με αυτές τις διατάξεις. Η P.aR καταβάλλει κάθε εύλογη προσπάθεια να τηρεί τα προσωπικά δεδομένα που συλλέγονται μόνο για το χρονικό διάστημα για το οποίο χρειάζεται τα δεδομένα αυτά για τον σκοπό για τον οποίο συνελέγησαν ή μέχρις ότου ζητηθεί η διαγραφή τους (εάν αυτό συμβεί νωρίτερα), εκτός εάν συνεχίσει να τα τηρεί κατά τα προβλεπόμενα στην κείμενη νομοθεσία. Η πολιτική αυτή εξηγεί το πώς η P.aR χρησιμοποιεί τα Cookies κατά την περιήγησή σας στα sites της. Την αποδοχή της Πολιτικής αυτής επιβεβαιώνετε πως έχετε αποδεχθεί και έχετε ενημερωθεί για την χρησιμοποίηση των Cookies μας στον browser που χρησιμοποιείτε. Τα cookies είναι μικρά αρχεία δεδομένων αποτελούμενα από κείμενα και αριθμούς που αποθηκεύονται στον browser που χρησιμοποιείτε (Chrome, Mozilla Firefox, Internet/Edge Explorer), που περιέχουν πληροφορίες που επιτρέπουν στο διαδικτυακό τόπο να απομνημονεύει τις σημαντικές πληροφορίες οι οποίες θα κάνουν την χρήση της ιστοσελίδας πιο αποτελεσματική και χρήσιμη για εσάς. Τα cookies μας επιτρέπουν να αναγνωρίζουμε την συσκευή σας και να ενεργοποιούμε συγκεκριμένες πληροφορίες που κάνουν την πλοήγησή σας πιο εύκολη και αποτελεσματική. Τα cookies σας βοηθούν ώστε να διατηρήσετε τις προσωπικές σας ρυθμίσεις και μας βοηθούν να διαμορφώσουμε τις ιστοσελίδες μας σύμφωνα με αυτές. Τα sites μας χρησιμοποιούν επίσης cookies του Google Analytics και ενός υποσυνόλου, του Google Analytics Demographics & Interest Reporting για τη συλλογή και ανάλυση δεδομένων τα οποία δεν ταυτοποιούν τον επισκέπτη αλλά είναι ανώνυμα. Όλες οι δραστηριότητες των sites μας συμπίπτουν με τους όρους χρήσης του Google Analytics. Μπορείτε να επιλέξετε να απενεργοποιήσετε τα cookies μέσα από τις ρυθμίσεις του browser σας καθώς και να διαγράψετε όλα τα cookies που έχουν αποθηκευτεί πρόσφατα στον browser. Μπορείτε να βρείτε περισσότερες οδηγίες πατώντας Βοήθεια στο menu του browser. Ωστόσο, θα πρέπει να γνωρίζετε πως απενεργοποιώντας τα cookies από τον browser σας, μπορεί να μην σας επιτρέπει να αξιοποιήσετε όλες τις δυνατότητες των sites μας και ορισμένες από τις λειτουργίες μπορεί να μην λειτουργήσουν όπως θα έπρεπε καθώς βασίζουν την λειτουργία τους στα cookies. Στα sites μας χρησιμοποιούμε Cookies, μόνο για να καταγράφουμε τις περιοχές της ιστοσελίδας που ο εν λόγω υπολογιστής έχει επισκεφθεί και για πόσο χρονικό διάστημα. Δεν συγκεντρώνουμε, επεξεργαζόμαστε ή αποθηκεύουμε προσωπικά δεδομένα από την χρήση του. Χρησιμοποιούμε την τεχνολογία των cookies και τις διευθύνσεις IP για να λαμβάνουμε μη προσωπικά δεδομένα από τους επισκέπτες μας και για να προσφέρουμε στους εγγεγραμμένους μας επισκέπτες την καλύτερη δυνατή εξατομικευμένη online εμπειρία. Με την περιήγηση στις ιστοσελίδες μας συγκεντρώνουμε απλές πληροφορίες αναγνώρισης και μετρήσεων, όπως για παράδειγμα το πόσοι χρήστες επισκέφθηκαν συγκεκριμένα σημεία των ιστοσελίδων μας. Η χρήση των cookies δεν βλάπτει σε καμία περίπτωση τον υπολογιστή σας ή άλλη ηλεκτρονική συσκευή σας από την οποία επισκέπτεστε την σελίδα. Τα cookies μπορούν να χρησιμοποιηθούν και για επαναληπτικό marketing στο διαδίκτυο. Τα Cookies τρίτου μέρους δημιουργούνται στον browser σας από διαφορετικό site από το site στο οποίο περιηγείστε (σε αυτή την περίπτωση διαφορετικό από τα sites μας). Τέτοια Cookies μπορεί να είναι cookies από το click για μετάβαση σε σελίδες συνεργατών μας για την αξιοποίηση διαφημιζόμενων προσφορών τους. Επιτρέπεται να επεξεργαζόμαστε δεδομένα σε αυτό το τεχνολογικό πλαίσιο βάσει του νόμου [άρθρο 6(1στ) του Κανονισμού (ΕΕ) 2016/679]. Αποθηκεύουμε αυτά τα δεδομένα, έως ότου το εκάστοτε cookie λήξει ή το διαγράψετε. Εάν έχετε ερωτήσεις, σχόλια ή καταγγελίες σχετικά με την διαχείριση ή την προστασία από εμάς των προσωπικών σας δεδομένων ή εάν επιθυμείτε να τροποποιήσετε τα προσωπικά σας δεδομένα ή να εξασκήσετε οποιοδήποτε δικαίωμά σας ως υποκείμενο των δεδομένων, παρακαλείστε να επικοινωνήσετε μαζί μας στο info@par.com.gr οπωσδήποτε από το λογαριασμό email που έχετε κάνει εγγραφή και αναφέροντας μας και το site. Η πρόσβαση και χρήση των περιοχών των sites της P.aR που προστατεύονται με κωδικό ή άλλως περιορίζεται στους εξουσιοδοτημένους χρήστες μόνο. Τα μη εξουσιοδοτημένα άτομα που θα επιχειρήσουν να έχουν πρόσβαση σ’ αυτές τις περιοχές των sites μπορεί να διωχθούν νομικά. Τα sites μπορεί να περιέχουν παραπομπές («links») προς άλλες ιστοσελίδες, οι οποίες παρέχονται αποκλειστικά προς διευκόλυνση του χρήστη και όχι οπωσδήποτε ως υιοθέτηση από την P.aR ή των τρίτων προμηθευτών ή πελατών της του περιεχομένου των άλλων αυτών ιστοσελίδων. Η P.aR και οι προμηθευτές ή πελάτες της δεν ευθύνονται για το περιεχόμενο οποιωνδήποτε άλλων ιστοσελίδων και δεν παρέχουν καμία εγγύηση σχετικά με οποιεσδήποτε άλλες ιστοσελίδες ή το περιεχόμενο ή υλικό που βρίσκεται σε αυτές. Η πρόσβαση σε άλλες ιστοσελίδες γίνεται με κίνδυνο των χρηστών. Η P.aR επιφυλάσσει για την ίδια το δικαίωμα να επιδιώξει όλες τις νόμιμες απαιτήσεις της για παράβαση των παρόντων Κανόνων και Κανονισμών, συμπεριλαμβανομένου του δικαιώματος να εμποδίσει την πρόσβαση από συγκεκριμένες ηλεκτρονικές διευθύνσεις στα sites της. Ο χρήστης αναλαμβάνει την υποχρέωση να αποζημιώσει και να αποκαταστήσει κάθε ζημιά της P.aR, των τρίτων προσώπων που παρέχουν υπηρεσίες μέσω των sites της και των διανομέων της, των στελεχών, διευθυντών, υπαλλήλων και εκπροσώπων της για κάθε ζημιά, νόμιμη αιτία ή αξίωση, συμπεριλαμβανομένων χωρίς περιορισμό των εύλογων δικηγορικών και λογιστικών αμοιβών, που προκαλούνται από τους χρήστες ή για λογαριασμό τους πέραν από την ευθύνη που περιγράφεται στο παρόν ή από τρίτα πρόσωπα λόγω της χρήσεως αυτών των sites από τους χρήστες. Η P.aR επιφυλάσσει για την ίδια το δικαίωμα να τροποποιήσει οποτεδήποτε τους παρόντες Κανόνες και Κανονισμούς και οι χρήστες θεωρείται ότι έχουν ενημερωθεί και δεσμεύονται από οποιεσδήποτε αλλαγές στους Κανόνες και Κανονισμούς αυτούς. Οι χρήστες των sites της P.aR συμφωνούν ότι υπόκεινται στους Ελληνικούς Νόμους και με το παρόν παραιτούνται από το δικαίωμα να επικαλεστούν τις διατάξεις ιδιωτικού διεθνούς δικαίου της χώρας κατοικίας ή διαμονής τους. Οι χρήστες συναινούν και υποβάλλονται στην αποκλειστική δικαιοδοσία των δικαστηρίων της Αθήνας για όλα τα θέματα και διαφωνίες που τυχόν θα σχετίζονται ή θα προκύψουν από τη χρήση από αυτούς των sites της P.aR. H P.aR κατέχει mobile applications για τις οποίες ισχύουν οι παρακάτω όροι απορρήτου. Το απόρρητο των χρηστών μας είναι σημαντικό και γι αυτό δεν ζητάμε συγκεκριμένες πληροφορίες από κανένα χρήστη των εφαρμογών μας, όταν αυτοί επικοινωνούν με τις online εφαρμογές μας. Όλες οι πληροφορίες οι οποίες μεταφέρονται από και προς τους online server μας είναι εντελώς ανώνυμες ή χρησιμοποιούν έναν τυχαίο κωδικό ο οποίος και χαρακτηρίζει ανώνυμα τον κάθε χρήστη. Αυτός ο τυχαίος κωδικός δημιουργείται μια φορά από την αρχική ενεργοποίηση της εφαρμογής και δεν καταχωρεί ή περιέχει καμία προσωπική πληροφορία για τον χρήστη. Σε κάποιες περιπτώσεις η εφαρμογή μας επικοινωνεί απευθείας με τους online servers μας για να αντλήσει επικαιροποιημένα δεδομένα για εμφάνιση μέσα από την εφαρμογή (όπως τα τελευταία νέα). Όταν αυτό συμβαίνει, δεν μεταφέρεται κανένα προσωπικό δεδομένο για τον χρήση ή για την χρήση που κάνει ο χρήστης μας στους servers μας. Η λειτουργικότητα για την εμφάνιση διαφημίσεων είναι εγκατεστημένη στις εφαρμογές μας. Στην περίπτωση που η εφαρμογή εμφανίσει διαφήμιση, βασικές πληροφορίες για την τοποθεσία και τη γλώσσα του χρήστη μεταφέρονται στο σύστημα διαχείρισης των διαφημιστικών banners ούτος ώστε να εμφανιστούν σχετικά διαφημιστικά. Σε μερικές περιπτώσεις η εφαρμογή μπορεί να ζητήσει την συγκατάθεση του χρήστη για να αντλήσει τις γεωγραφικές συντεταγμένες έτσι ώστε να εμφανίσει καλύτερο περιεχόμενο. Σε αυτές τις περιπτώσεις ζητείται πάντα η συγκατάθεση του χρήστη. Στην παρούσα φάση η εφαρμογή μας είναι χωρίς διαφημίσεις αλλά είναι πιθανόν να εισάγουμε αυτή τη δυνατότητα σε μετέπειτα στάδιο, όπου θα παρέχει στον χρήστη την ανάλογη ενημέρωση καθώς και τη δυνατότητα να απενεργοποίησης. Με εγκατάσταση της/των εφαρμογής/ων της P.aR συναινείτε στην λήψη ειδοποιήσεων από την εφαρμογή για διαφημιστικούς σκοπούς όπου επίσης δεν αντλείται καμία προσωπική πληροφορία.